Rotation: L (left) & R (right) designates rotation as viewed from the front of the engine. 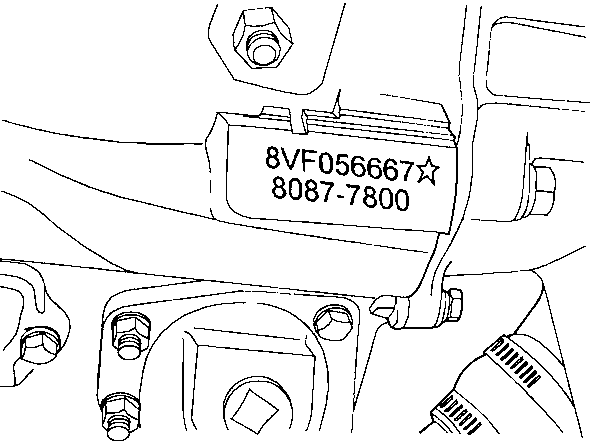 Type: A-B-C-D designates location of starter & oil cooler as viewed from the rear of the engine. Cylinder Banks: Left & right cylinder banks are determined from the rear of the engine. The engine serial # & model # are stamped on the cylinder block in the following location (as viewed from the flywheel end) the right side, upper front corner of current 6V & 8V cylinder blocks. See figure 1. On former 6V & 8V blocks & current 12V & 16V blocks the engine serial # & model # is stamped on the right side, upper rear corner. See figure 2. An example of a Series 8V92 serial # is 08VFXXXXXXX. 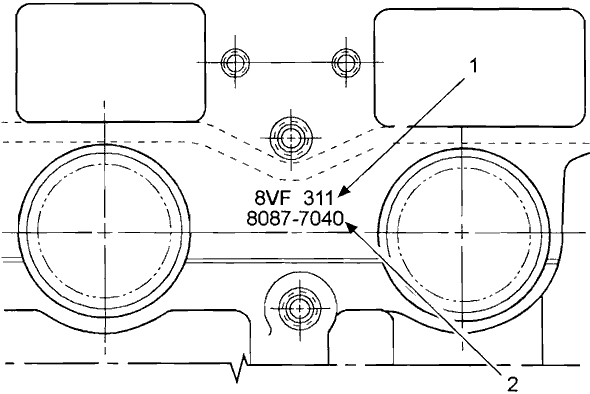 The engine serial # is required when placing a parts order. Model # 8083-7000 is interpreted as follows: Series V92 Engine (8), eight cylinder (08), industrial engine (3), right-hand rotation with "C" accessory arrangement (7), four-valve head "N" engine (0), & specific model variation # 01 (00).